Rosana Montes holds a Ph.D degree in Computer Science from the University of Granada in the field of Computer Graphics and realistic image based rendering. Later her research enriched by moving to other areas such as data visualization for bioinformatics, though it was bosted when she focused on eLearning, Human Computer Interaction, Virtual 3D worlds, Mobile Learning and Computing with Words for Decision Making. She has participated in several nacional and internacional Project related with learning on ubiquitous computing environments (MobiBlog, Hextlearn, Wishes, Movinter and Armazeg), Open Educational Resources and MOOCs. 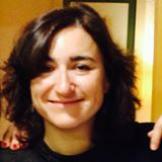 She is the coordinator of the LLP project "OERtest: Testing the Feasibility of OER-Course Certification". She co-coordinated the projects of AbiertaUGR (a platform for MOOCs) and AlhambraQuest, and also in the establishment of Prado2 (the institutional Moodle platform) of University of Granada. She is part of the Research Group on "Soft Computing and Intelligent Information Systems" (SCI2s) at the Software Engineering Department of the University of Granada (Granada-Spain).